Unavoidably, we are coming face to face with exams. Also, lecture-free week starts next week. We all know how this seems to be the fastest week of all but here are a few tips you should know as you study for exams during the lecture free week. 1) Set goals: As obvious as this may seem, many of us fail to set achievable goals for studying. Don't just rush head-on into the week without setting specific time for studies, resting, eating and all. Make a to-do list as this would help you stay committed to each task. 2) Make a study timetable: This would help you know what exactly you need to study per day. If you don't do that, your enormous workload might overwhelm you. A personal timetable will ensure you study one course at a time. Several entrepreneurs will be going home with funds for investment today as StartUp Nation Africa is set to pitch business and investors at The Meet Up. The Meet Up, which is the first of its kind, began weeks ago with the application of interested businesses and shortlisting. The shortlisted businesses would however be presenting their businesses to prospective investors today. The businesses stand a chance to win between N100,000 and N5 million in capital. Today, the management of Obafemi Awolowo University announced the reinstatement of the Student's Union activities, barely 11 months it was suspended. In a statement signed by Mr S. O. Adeyefa on behalf of the University Registrar and obtained by OAU Peeps News Agency, the management informed "the generality of the students of the University and the entire University Community that the order of suspension of the activities of the Student's Union by the University Authorities via a Release Ref. Ro. 2/Vol. Vi./180 dated 3rd December 2015 has been lifted." The 200 level students of the Department of History, Obafemi Awolowo University, on Tuesday, 25th October 2016, embarked on a historical visit to the palace of the Ooni of Ife and the Oke Oran mountain, Ife where it is believed that the founder of Yoruba race, Oduduwa, descended upon His arrival to this world. The tour was arranged to enable students offering History of Nigeria comprehend and grasp some intricacies of the course. According to some of the students who participated in the trip, the journey to Ooni's palace was a historical one. To aid comprehension of the creationist stories and mysteries that surround the evolution of Yoruba race, the lecture handling the course Dr. Amusa arranged a visit to the palace of his imperial Majesty, Oba Ogunwusi Ojaja. 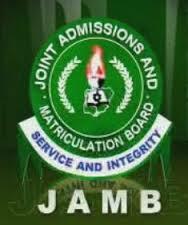 The Joint Admissions and Matriculation Board has hinted that it may cancel the use of uniform cut-off points for admitting candidates that took the Universities Tertiary Matriculation Examination. The issue of cut-off marks as currently being used for admission, it said, should be subjected to national debate by stakeholders. The Spokesperson of JAMB, Dr. Fabian Benjamin, gave the indication in a statement he issued on behalf of its Registrar/Chief Executive, Prof Is-haq Oloyede, on Sunday evening in Abuja. He said a situation where universities, polytechnics and colleges of education were subjected to the same cut-off marks was no longer tenable because it prevented the institutions from admitting candidates of their choice. Tertiary institutions, he sated, should be allowed to determine the kind of candidates they want to admit. Of Course no one wants to go to church looking grumpy. Moreover in this 21st century, you don't have to wear an overall and a scarf to look holy to church, Hence, the emergence of the "HOLY SLAYERS". Lol, thats what i call them. The Fashion Section of OAU Peeps News Agency has now introduced Sunday Style, an avenue to showcase the 'sunday style' of Great Ife. For this week, we would be checking out a few people and their choices. 1) Blazers:- It doesn't have to be a formal occasion before you wear a blazers. Sometimes I even think it's the casual sibling of the suit. Well, Jasmine looked simply sassy on it. Yeah, no pattern whatsoever, no tight pants and simple colours yet she looked good. You wanna take it a step higher, you can wear it on a patterned camisole tucked into a straight tight skirt with a pair of heels like Ibukun did. That's literally a killer outfit. The much anticipated OAU Campus Clean Up organised by Passion House and Clean Up Nigeria was held on Saturday, 22nd October, 2016. The event featured quite a number of non-governmental organisations and Volunteers from the Obafemi Awolowo University. The event, which was birthed from a need to have a clean and hygienic environment, experienced a massive turn out from students who were volunteers. It was a great time as members of Organizations like ANUNSA OAU, ECOMSA OAU, OAU Cyclist Club, JCI OAU, Susty Vibe, Passion House, NESREA Osun State and Volunteers teamed up to embark on the cleaning event.